Prominent & Leading Manufacturer from Pune, we offer welding rotators. 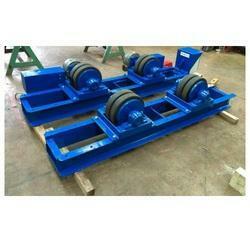 We are a leading Manufacturer & Exporter of Welding Rotators. Our Rotators are manufactured under stringent quality norms by using top grade raw materials. We can customize these as per the specifications of our valued clients. Custom built Welding Rotator are also offered by us. Looking for PMI Rotators ?